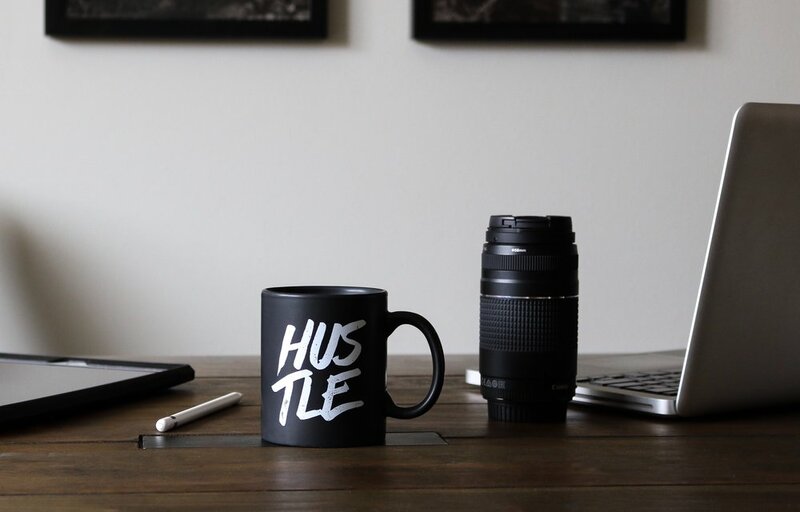 Hustle has Eroded Workplace Culture. Let’s Fix That. I lit up with excitement, my pride beaming momentarily, after receiving this message on LinkedIn in response to an article I had published on rethinking what it means to be an entrepreneur. This was exactly the sort of engagement I was hoping for. I didn’t skip a beat and replied back, hoping to solicit an interview for a new post in my “Entrepreneurship In Real Life” series. Success! He took the bait. We scheduled a time to meet up for coffee. Paul Travis Klein is the Chief of Staff at Hatch Apps, a DC tech startup that offers a no-code app creation platform for building native iOS, Android, and web applications. I had met Paul after attending a DC Startup Week event last fall where he and some of his colleagues had been panelists. I was really interested to speak more with Paul, particularly given his diverse background across multiple industries including cinema, ecommerce, and now tech. I started compiling my list of questions. How are the other industries you’ve been in different from Hatch? How have the companies you’ve been with tracked and measured success? What’s the biggest constraint holding you back right now? I walked away from my conversation with Paul with none of these questions answered. What I did receive was a refreshing discussion on the state of workplace culture and a reminder of the importance of humanity in business. Entrepreneurship wasn’t part of Paul’s plan when he graduated from American University with a degree in Film Production. He landed a job at Landmark Theatres and quickly climbed the ranks into management. He thrived in his role and realized that it was working with and managing people that he connected with more than the film industry itself. “My personal mission is to make sure that employers treat employees with the attention, appreciation, and financial support that they deserve,” Paul shared. So when Paul was given the opportunity to run operations at UrbanStems, an ecommerce flower business, he decided to jump into the startup world. Three years later, he was offered an opportunity at Hatch Apps as their Chief of Staff. “When Hatch interviewed me to join their team, I was clear about what values I would bring to my role and the company,” Paul recounted. “I told them, ‘I’ll work really hard for you guys, and give you my all every moment I’m at work. But I’m not going to work myself until I’m dead, and I’m not going to ask that of the people I manage either. Are you going to be ok with that?’” Luckily for Paul, founders Amelia and Param were more than ok with it. Paul was definitely on to something. As I logged onto my computer the next morning, a notification on LinkedIn caught my eye. People were talking about this, and so was the New York Times. In an article entitled “Why are Young People Pretending to Love Work?”, the author recalls witnessing the greatest minds of her generation logging 18-hour days — and then boasting about #hustle on Instagram. “When did performative workaholism become a lifestyle?” she calls us to consider. “Today, as tech culture infiltrates every corner of the business world, its hymns to the virtues of relentless work remind me of nothing so much as Soviet-era propaganda, which promoted impossible-seeming feats of worker productivity to motivate the labor force. So how do we break the hustle addiction? How do we insert humanity back into the workplace? Attitudes like the one Hatch shares are a great. But fair compensation and respect for workers personal lives should only be the starting point. We all have a stake in this. Each of us, regardless of our position or role, should ask ourselves these questions. How is my role affecting stakeholders beyond the business or its clients? Am I improving the lives of our employees, vendors, and community? What example am I setting for how others in my company should behave and the values we represent? Is the status quo sustainable? I started asking myself these questions. It’s easy to lose sight of the human factor in my world of streamlining processes, building operating tools, and improving profitability. I pondered, where’s the humanity in better processes and systems? When we think of process, we often associate it with feelings of rigidity, bureaucracy, and tediousness. We may even have fears that automation and technology will replace workers and kill jobs. But the best processes, tools, and systems are all about people! They let us spend our time on things that matter. They give us tools to accomplish more without doing more. And they give us the information we need to know how we’re doing. Systems make us more human, not less. They empower us to be our best. Any time we had a performance issue, we would always look to place blame on the system first. “Why did this happen?” and “How can we fix the system to prevent this from happening again?” were the first questions in any performance meeting. This approach not only provided us the feedback to continually improve how we operated, but it also let people be human and make mistakes without fear of blind reprisal. Wrapping up my discussion with Paul, he said something that I told him I wanted to steal. I couldn’t agree more, Paul. Working smarter not harder is exactly how we break our addition to hustle culture and insert humanity back into the workplace.